We’re a few days away from The Walking Dead season 8 premiere, and we think this is a good time to remember a few key things before we get enrolled on new pain, death, and the war in Alexandria. Spoilers are on, so be careful if you haven’t watched, although you don’t really have a lot of time now, so we encourage you to keep reading if you want to watch and actually know a bit of what’s going on here. There we go! Ene Mene Miny Moe-not Glenn and Abraham, come on! Negan always seems to enjoy his little game, and this time he picked Abraham as his new victim. He kills him, as Sasha once predicted through a nightmare, and after smashing his skull, like, literally, our new villain gives a little speech about honesty and then turns around and smashes Glenn too. Our beloved Glenn, yes. Maggie is having a hard time, especially if we remember that she is now expecting a child from Glenn (these people need to stop bringing babies to this world, it is not a healthy environment, seriously! ), so Glenn whispers his last words to Maggie: "Maggie, I will find you". Farewell, boys. Negan tries to force Rick into cutting Carls hand but stops him when he decides he finally seemed to understand how things were to be from now on. Basically, Alexandria will have to provide food and weapons to the Saviors. 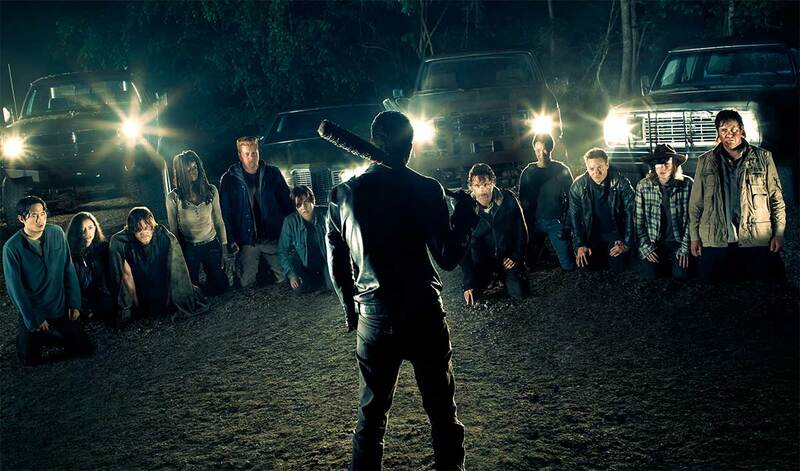 Negan rules now, survivors everywhere! Negan takes Daryl as a hostage because he says he likes him for having guts, not like old weak Rick (he implies). 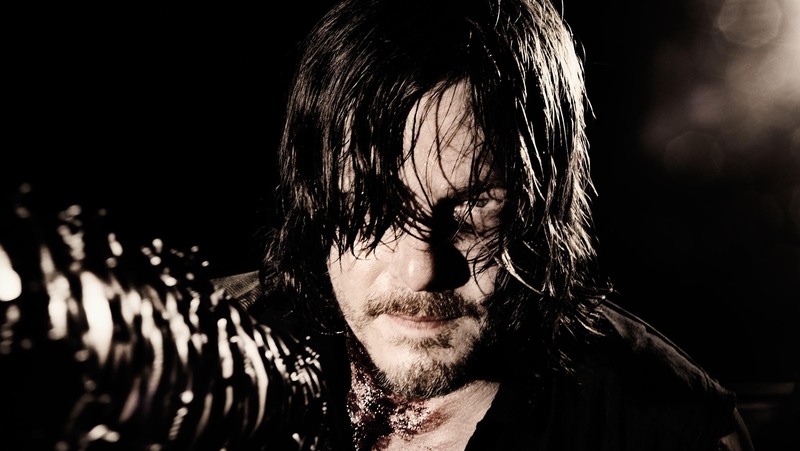 He says Daryl is his now and threatens Rick to cut his friend in pieces (literally) or force him doing it himself. Rough. At the cell, Daryl gets three choices, and all three involve one thing: working for Negan. He decides to stay strong to himself, so Negan keeps him as a prisoner, forces him on eating dog food, listening to the same song over and over again, and is tortured both physically and psychologically, until he escapes, a few episodes later, killing Fat Joey on the run. On their way to find Father Gabriel, Rick, Michonne, and a few others, run into the Scavengers, a group of survivors who live in the Junkyard (an actual Junkyard, yes). 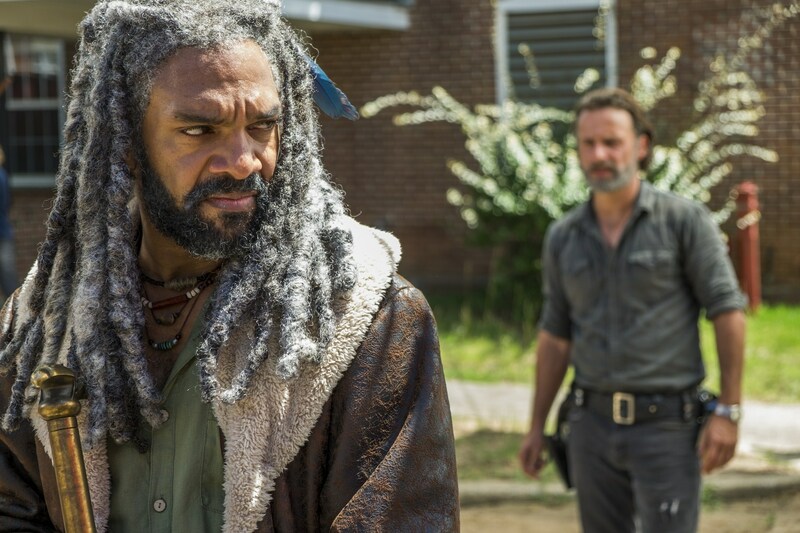 They admit to being the responsible on kidnapping Gabriel, and after a bit of a fight, Rick and the Junkyard people make a pact where Alexandria is supposed to provide food and weapons in exchange for support in the final battle against the Saviors. Please, someone, listen to Michonne, who was the first one on not trusting them, since, well, they betray Alexandria and team up with the Saviors behind their back, instead, the very same day of the battle. These post-apocalyptic people ain’t loyal. Although The Kingdom also paid tribute to The Saviors, they did it in a far better and civilized way, probably because even Negan knows who not to mess with. One day, Morgan and Carol are found by a few guards and taken to Ezekiel, the King of The Kingdom. With Carol acting all sweet and nice, they all seemed to get along pretty well, but Ezekiel didn’t feel like joining Alexandria facing the war just yet. He refuses Rick but allows Daryl the asylum in the Kingdom, where the Saviors won’t harm him. After a few struggles, Ezekiel decides to go to war (thanks to Carol, basically, because they are friends now). Ezekiel proves he's on Alexandria's side when Shiva, the king's huge tiger pet, that we couldn’t love more, saves Carl from Negan about to smash his head with Lucille. As the Saviors are marching their way to Alexandria, Sasha, who is now their prisoner, travels inside a casket. According to Negan, she was going to trade her life for three lives of Rick’s group, but little he knew about her other plans. Sasha, now inside the casket, plays a song called “We will all be free” on her headphones, and pops and swallows a cyanide tablet along with some water, sacrificing herself for the group. When outside the casket, she jumps on Negan, as a walker, and tries to bite him, taking everyone by surprise, which gives Rick’s people the advantage they needed in battle. She escapes, and is found in the woods later on, and finished and buried by Maggie. Watch a Sasha tribute video here. Is Maggie the new boss of the Hilltop? After Glenn’s tragic death, Maggie is taken to The Hilltop by Sasha to take shelter and have a peaceful pregnancy. She earns a few followers inside the community, and after a few setbacks, she gets Gregory, the leader of the Hilltops until then, to lose his leadership. (I mean, the guy doesn’t really have a smashing personality, does he?) Ok, so Maggie is now the leader to follow because she serves as a trainer for several people of The Hilltops, and they certainly admire and agree with her on helping Ricks people on the war against the Saviors. Will she rule the Hilltop now? Is this going to affect her relationship with Rick and his people? Anyway, we hope you enjoyed and now remember what is to remember in order to keep up with the new wars to come! See you in battle on October 23rd, always on FOX!